What is a Responsibility Mark? All jewelry made of gold with a grade of 14 carats, has to be assayed by an official agency and provided with the appropriate hallmark. This hallmark consists of an oak leaf with the number 585 incorporated into it. There is no distinction in the color of the gold that the object is made of. 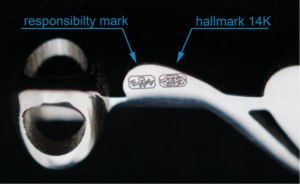 Besides the stamp that marks the alloy, the object must also bear a Responsibility Mark. When we make a Twine out of gold, it has a 14-carat or 585‰ grade. This is the lowest grade but also the strongest. Our Twines are assayed at Edelmetaal Waarborg Nederland (EWN) in Joure, the Netherlands. Until now, EWN has been using its own mastersign (see image), as we don’t have our own. But it is time for a change. 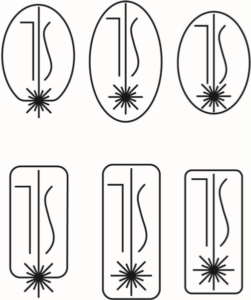 We have decided that it is high time to develop our own Responsibility Mark that we can adorn our Twine jewelry with. We are proud of our products and our way of working and we want to reflect that. There are a few requirements for the design of our own Responsibility Mark. – the mark must be placed within a contour. Here are some designs that I made as a study. We chose the mark in the top right-hand corner. 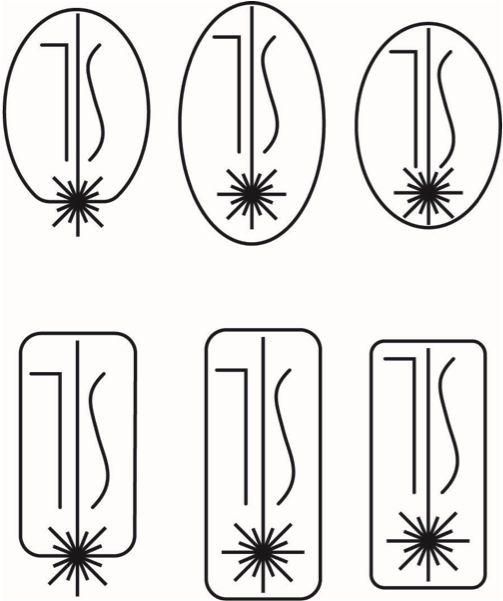 As our distinguishing mark, we chose the emblem of the laser beam because that is used a lot for 3D printing, supplemented with my personal initials. We chose an oval as a contour. 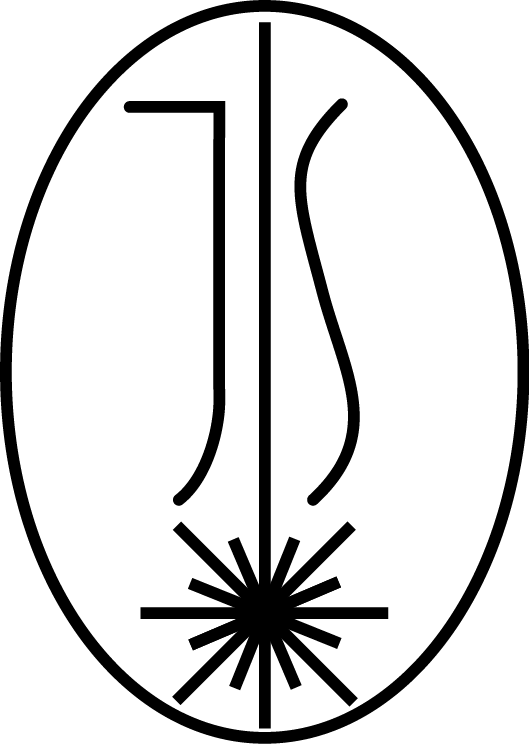 Unfortunately this distinguishing mark was disapproved by the EWN. The reason was that my graphic design of the character J had to be more recognizable. I adjusted the design and this time they approved it. You’ll find the final approved mark at the top of this story. In the Netherlands, a golden object that weighs more than 1 gram is required to be assayed by an official agency. In most European countries, this hallmark will be acknowledged. With this service, we distinguish ourselves from other web shops that offer personalized golden jewelry. Most web shops do not offer this service. Then, customers have to have their own jewelry assayed. But not at Twine; at Twine we do it for you. Because of the requirement and because we are proud of our jewelry, we are happy to provide our customers with this service. And using our own Responsibility Mark makes us even more proud of our product.